You may remember the Harlem Promenade project, which proposed transferring air rights over the Amtrak rail lines in West Harlem to create affordable housing and using the sale of the air rights to pay for $170 million in community improvements in Hamilton Heights, including a High Line-esque park. We’ve now learned that the project has taken on a new life as the New Broadway Plan, which may be smaller in scope than the original plan, but would be the largest creation of affordable housing in Manhattan since 1959 if fully realized. It would also make a huge dent in Mayor De Blasio’s goal of creating or preserving 200,000 affordable units over ten years. 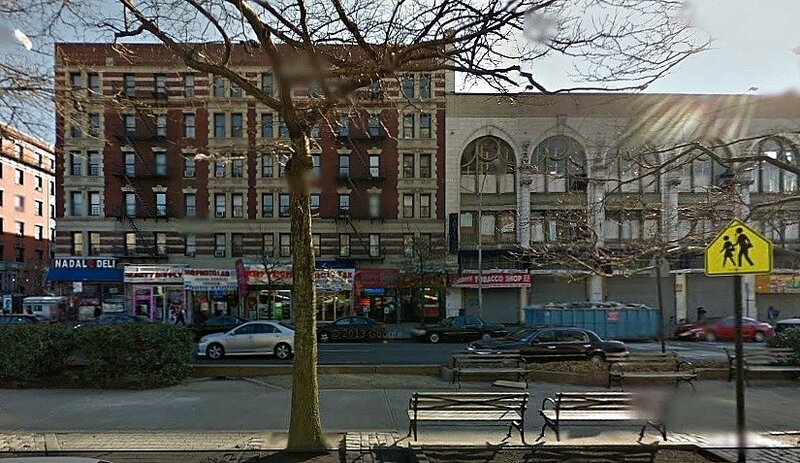 The Plan proposes a rezoning of portions of Broadway from 125th to 155th Streets in order to build 3,000 new units of housing, 50 percent of which will be permanently affordable, and to equalize the amount of new affordable to market rate housing stock, which is currently at a disproportionate ratio of 20 percent to 80 percent, respectively. The New Broadway Plan was conceptualized and drafted by The Housing Partnership, the city’s primary intermediary for the development of affordable housing. While not a developer itself, the 30-year-old nonprofit partnership assists in the development, promotion and revitalization of affordable homeownership and rental housing. To date, they’ve “participated in the development of more than 30,000 affordable home ownership and rental units throughout the five boroughs and leveraged more than $5.5 billion in private sector financing.” In 2014 alone, they helped create and preserve 3,800 units of affordable housing and are on target to achieve 4,200 units of affordable housing in 2015. This specific project was the brainchild of Daniel Marks Cohen, a local resident and the Housing Partnership’s Vice President, Director of Real Estate Development. He notes that there’s a lot to be addressed in conjunction with the creation of affordable housing, such as increased congestion and heavier demand on infrastructure and transportation. Additionally, he emphasizes that the Plan is still very much in the initial, discussion stages, and community input will be heavily weighed. The Plan identifies seven privately-owned “soft sites,” one- and two-story retail buildings that are currently zoned as commercial, but would be replaced by new residential construction. To maximize density, the proposal suggests increasing the height limit along Broadway to 160 feet from the current 120. The NYU Furman Center says only six units of new housing were created in CB9 in 2013, making it at the bottom of the list in housing creation in New York City (12,000 new units citywide in 2013). The US Census has CB9 with only 1,100 housing units vs. New York City (193,000) in past decade. And the Housing and Vacancy Survey in 2013 indicated that more than 50% of CB9 (50.4%) households are “rent-burdened” by paying 30% or more of their income for rent, which includes 30% of its residents that are paying more than 50% of their income in rent (31.9% in CB9). The need for more affordable housing, particularly in these two neighborhoods, is abundantly clear. Instead of using the sale of air rights to pay for community improvements like in the Promenade plan, the new proposal recommends a small development fee or Tax Incremental Financing (TIF) for a new local community development fund to pay for improvements in Riverside Park North and Fort Washington Park and for transit improvements like the construction of a new Amtrak Metro-North station at 125th Street on the West Side. For any local business that will be displaced by potential new construction, the Plan suggests zoning bonuses and/or enhanced tax benefits to encourage these businesses to relocate to a new space in the area or return to their prior site once the development is complete. The next step is for the Housing Partnership to hire a consultant who will complete a comprehensive study of the impact the potential rezoning would have on Hamilton Heights. This is expected to be completed by the end of 2015, when it will be approved or disapproved by the local community boards before going in front of the city. Interestingly, Daniel Marks Cohen also sits on Community Board in District 9. The same district where this is being proposed. Talk about influence!